I am trying use sanisand subroutine posted in this website. But it is not working. Getting no values for field variable in the odb. I think i am missing something. Can anybody help. Dear Pooja, thanks for your comment. Please check the Download section. I have uploaded updated version of SANISAND umat, including Plaxis interface. Thanks to my colleagues from Zhejiang University for releasing the implementation. is the sanisand umat is available for abaqus implementation? i am able to download only the plaxis-umat sanisand model. Is the same can be use for abaqus? Arun, as you will see if you open the package, there is directly the umat.for file, which is the Abaqus implementation. Note however that there is no detailed documentation of this package, it is provided on SoilModels on as-is basis for experienced users. 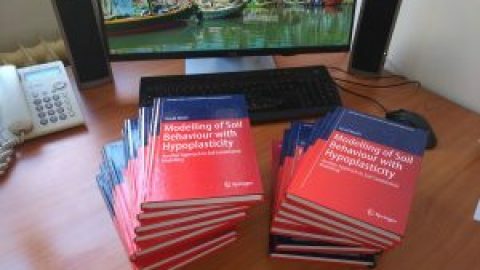 If you need some more documented constitutive model implementation, you may also want to check sand hypoplasticity. I am using this model to simulate soil triaxial compression test by Abaqus (Axisymmetric model) but unfortunately it doesn’t give me the post peak softening results. I tried for Monotonic and cyclic loading and also with different soil model parameters but it is the same situation for post peak. Does it need any change in Umat code for softening or is there any solution (or suggestion) for this problem? The student should use the parameters reported in the paper to simulate one of the drained triaxial compression tests shown in the paper. If he cannot get a stress-strain curve similar to what is shown in the paper, then the issue is with the numerical implementation of the model. It is a good idea for the user to use first exactly the input from the paper to check if he can get the same response. The issue of softening is quite tricky if not handled correctly. 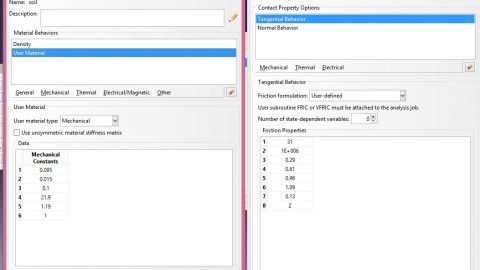 If you write down the model input parameters you are using, the initial stress state and the maximum strain level you reach during your monotonic triaxial test I might be able to help you. 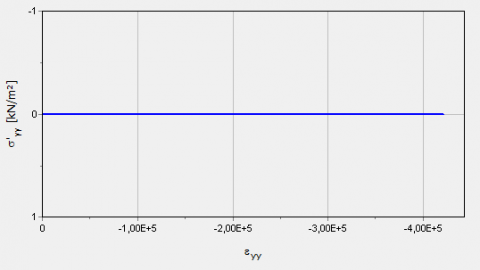 Thank you for your replies, Fortunately I could calibrate the UMAT code parameters with my Triaxial Test experiment results in Abaqus and it works well now.